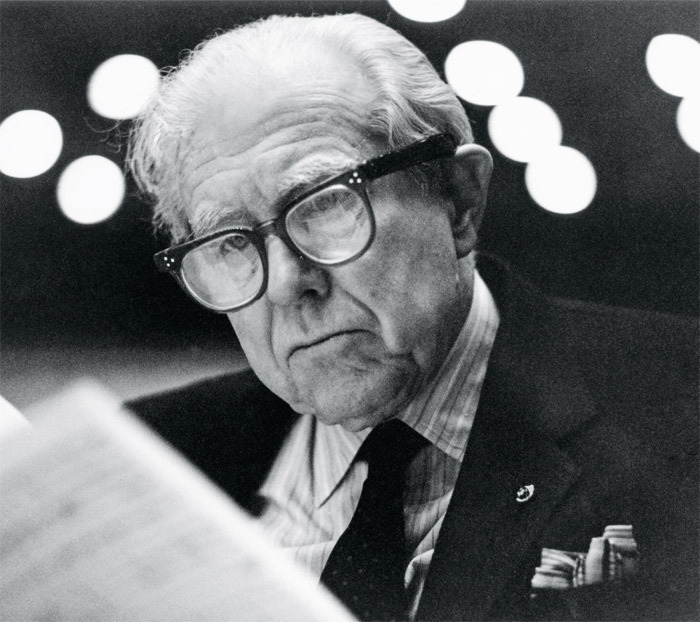 Elliott Carter, Royal Festival Hall, London, February 17, 1991. Photo: Lynda Stone/Getty Images. FOR ALMOST A QUARTER OF A CENTURY, we cheered Elliott Carter on, as he approached and passed the age of eighty, then ninety, then a hundred. And he cheered us with his continuing productivity. At 103, he was still busy composing pieces for orchestra: Instances and a piano concerto titled Dialogues II. Earlier in his second century had come songs, piano pieces, and instrumental miniatures, as well as other orchestral scores, all as fresh as morning. It seemed there was no stopping him. But, of course, there was.